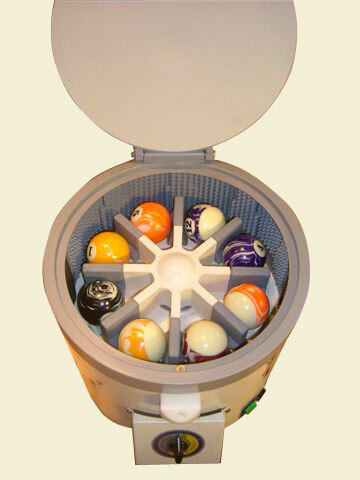 The Ball Star Automatic Billiard Ball Cleaner cleans and polishes all types of billiard balls. Simply place the balls into the machine, add some liquid polish, and Ball Star does the rest! Cut down on hand labor and enhance the appearance of your billiard room. The patented Ball Star makes it simple! The rugged design and powerful motor essentially eliminate maintenance and restores your favorite ball sets to their original luster. We have what you need to keep your billiard balls looking new, which will extend the life of your pool table cloth. 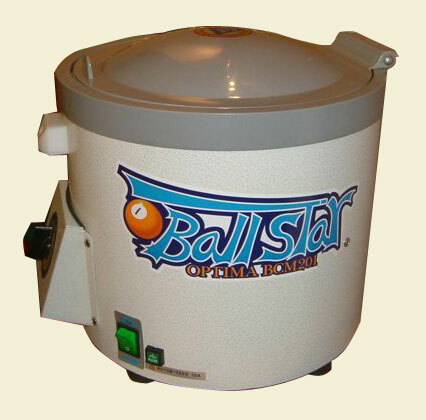 The Ball Star Automatic Billiard Ball Cleaner is great for home use and pool rooms and will pay for itself with savings on cloth and ball replacement. Comes complete with everything required for usage. Liquid refills, replacement nozzles and cleaning pads are available.